When diving into new language, or radically different framework, it may be a good idea to have a bigger project where you can apply your newfound skills. In my experience, this is typically better than having a lot of smaller ones, because it minimizes the hassle of project’s initial setup. Therefore, it encourages you to experiment more. It must be easy to get started. Note that it doesn’t necessarily mean a complete programming newbie should be able to code the initial scaffolding in one session. But getting started must be easy for you specifically, so that you can dabble in interesting stuff almost right away. What it means exactly is dependent on your overall coding experience, and also on comparative difficulty of whatever you are trying to learn. For those taking their first steps in programming as a whole, extending their first Hello world program might be appropriate. However, if you are learning your fourth of fifth language you can aim for something a tad more ambitious. It should offer practically infinite possibilities of extension. The idea is for the project to grow along with skills and knowledge you acquire, enabling you to try ever more things. In normal development, this typically results in feature creep and is best avoided. But experimental, exploratory, educational coding does not really have to be concerned with such notions. Of course, if you can pack your learning experiences into a usable program then double kudos to you. What types of projects fit into this characteristic? I’d say quite a lot of them. When I was honing my Python skills, I started programming an IRC bot so that I could cram a few ideas into it rather quickly. They were implemented mostly as commands that users could input and have the bot perform some actions, like searching Wikipedia for any given term. A similar pattern (collection of mostly independent commands) can be realized in many different scenarios. Aspiring web programmers could come up with something like a YubNub clone (bonus points if it allows users to add their own commands). Complete coding novices would probably have to resort to simple, menu-based programs in terminal instead. Another option is to attack a problem which is a very broad and/or vague. Text editors, for example, fuel countless discussions (even wars) over what functionality should they contain and how it should be accessible in the UI. Chances are slim that your take on the problem sprouts a new Emacs or Vim, but a home-brewed editor is easy enough to start and obviously extensible, almost without limits. Additionally, editors can fit into pretty much any environment, from terminals to desktop UIs or HTML5 applications. Some endeavors are a bit more specific, though. In web development, a CMS or blogging engine became something of a timeless classic now. Everyone has written one at some point, and there’s a lot of additional (thought not always useful) functionality that can be added to it. Getting the basics right is also a challenge here, especially from security standpoint. For mobile app creators, the infamous To-Do list app is an idea exercised ad nauseam. But it’s actually a good playground for toying with various device capabilities (e.g. location-based reminders) or web services (like Google or iCloud calendar). I’m pretty sure I’m far from exhausting the list of possibilities here. I cannot really speak for domains I have little-to-no experience with, for example embedded or hardware-oriented programming with equipment such as Arduino. In Unix-like systems, files and directories with names starting from ‘.’ (dot) are “hidden”: they don’t appear when listed by ls and are not shown by default in graphical file browsers. It doesn’t seem very clear why there is such a mechanism, especially when we have extensive chmod permissions and attributes which are not tied to filename. Actually, that’s one of distinguishing features of Unix/Linux: there are neither .exe nor .app files, just chmod +x. That’s over 100 entries, a vast majority of my home directory. It’s neither elegant nor efficient to have that much of app-specific cruft inside the most important place in the filesystem. And even if GUI applications tend to collectively use a single ~/.config directory, the tradition to clutter the root $HOME path is strong enough to persist for foreseeable future. Heed this as a warning. In the event your software becomes a basis for many derived solutions, future programmers will exploit every corner case of every piece of logic you have written. It doesn’t really matter what you wanted to put into your code, but only what you actually did. On this year’s PyCon US, there was a talk with rather (thought-)provoking title Stop Writing Classes. The speaker might not be the most charismatic one you’ve listened to, but his point is important, even if very simple. Whenever you have class with a constructor and just one other method, you could probably do better by turning it into a single function instead. Examples given in the presentation were in Python, of course, but the whole advice is pretty generic. It can be applied with equal success even to languages that are object-oriented to the extreme (like Java): just replace ‘function’ with ‘static method’. However, if we are talking about Python, there are many more situations where we can replace classes with functions. Often this will result in simpler code with less nesting levels. That works, but it’s unnecessarily complex without adding any notable benefits. It’s unlikely that we ever want to perform an isinstance check to distinguish between CustomRequest and the original Request, which is the main “perk” of using class-based approach. """Wrap the given method of ``obj`` object with log calls.""" 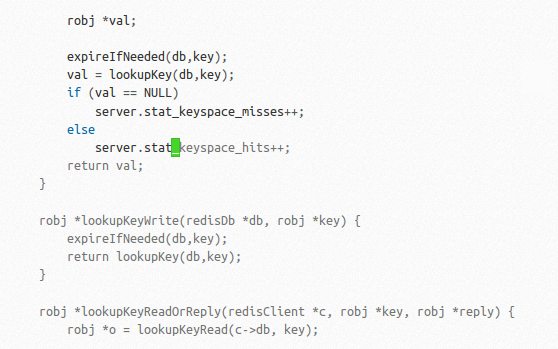 You will likely say that this look more hackish than using inheritance and/or decorators, and you’ll be correct. In some cases, though, this might be a right thing. If the solution for the moment is indeed a bit hacky, “disguising” it into seemingly more mature and idiomatic form is unwarranted pretension. Sometimes a hack is fine as long as you are honest about it. * Represents a MIME content type, e.g. text/html or image/png. An idea is to encapsulate some common piece of data and pass it along in uniform way. In compiled, statically typed languages this is a good way to make the type checker work for us to eliminate certain kind of bugs and errors. If we declare a function to take ContentType, we can be sure we won’t get anything else. As a result, once we convert the initial string (like "application/json") into an object somewhere at the edge of the system, the rest of it can be simpler: it doesn’t have to bother with strings anymore. """Represents a MIME content type, e.g. text/html or image/png.""" there is no real benefit in doing so. Since you cannot be bulletproof-sure that a function will only receive objects of your type, a better solution (some would say “more pythonic”) is to keep the data in original form, or a simple form that is immediately usable. In this particular case a raw string will probably do best, although a tuple ("text", "html") – or better yet, namedtuple – may be more convenient in some applications. …stop writing classes. Not literally all of them, of course, but always be on the lookout for alternatives. More often than not, they tend to make code (and life) simpler and easier.